This summer, Fred. 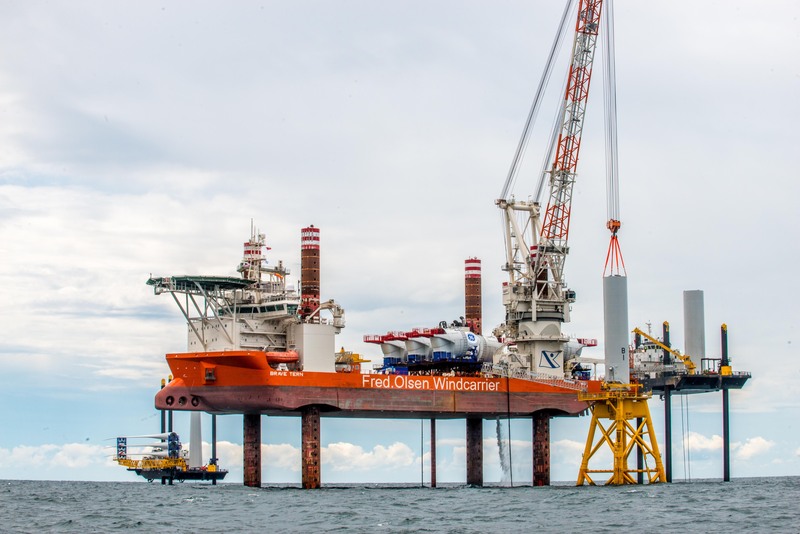 Olsen Windcarrier’s “Brave Tern” successfully completed installation of five 6 MW turbines offshore the US East Coast. This is the first offshore wind farm in US waters. The GustoMSC type “Brave Tern” was built by Lamprell Energy, an Isle of Man based fabricator with yards in the UAE. ICE acted as the main design and engineering contractor for Lamprell for this vessel, and as such developed Class drawings for DNV approval, produced a 3-D computer model and a full set of detail design drawings, generated production information and assisted the yard with procurement. Lamprell has since entrusted ICE to perform a similar scope of work for other self-elevating and dynamically positioned lift-boats, for which it is a leading supplier. Whereas ICE in this instance was contracted by the builder rather than by the owner of the vessels, ICE has previously been providing technical service to other Fred. Olsen companies, for offshore drilling and production vessels. Most recently, ICE has assisted Fred. Olsen Windcarrier with design to adapt its wind turbine installation vessels to meet specific project requirements. Both Fred. Olsen and Lamprell are thus part of ICE’s long list of repeat clients, and we congratulate them both on their role in the pioneering project in the US.